Bring the entire family for an evening of holiday cheer and community fun! Winchester Grange will be hosting it's Holiday Super Prize Party and Bake Sale on Friday, November 2nd, with doors opening at 6:00 PM. The event will be held at Winchester Grange Hall, located at 100 Newfield Road, at the intersection of Newfield Road and Route 263 in Winchester Center. A Super Prize Party is similar to a teacup auction / penny auction / country store, but with a wider variety of prizes including a 50/50 drawing and a number of Super Prizes worth between $10 and $50 each. It's always an enjoyable time with an abundance of great prizes for every possible taste. The Super Prize Party and Bake Sale begins at 6:00 PM for viewing, with the drawing of prizes beginning at 7:00 PM. Admission is free, and tickets are available at the cost of $1.00 per card. Each card features 26 tickets (or 26 chances to win). 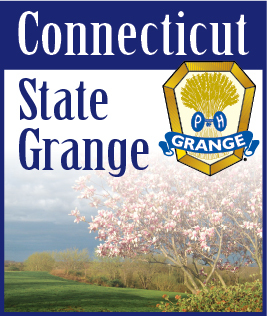 You do not have to be a Grange Member to attend, everyone is welcome. Proceeds from the evening will go towards the many community projects, activities and donations sponsored by Winchester Grange. Donations of prizes for the Super Prize Party and Bake Sale are welcome. If you have an item or items for the Super Prize Party, or baked goods you would like to donate, please contact Winchester Grange Super Prize Party Coordinator Ramona Fassio at 860-482-2733, or bring the items between 5:00 PM and 6:00 PM. Grocery items, gift baskets, gift cards, baked goods, or anything that is new or almost new will be welcome. Getting to Winchester Center: From Winsted, take Route 263 to the Winchester Center green. From Torrington, take Newfield Road (at the corner of Winsted Road and North Main Street) to the Winchester Center green. For more information, contact Winchester Grange Super Prize Party Coordinator Ramona Fassio at 860-482-2733, via e-mail at lecturer@winchestergrange.org or info@WinchesterGrange.org, or visit our website at http://www.WinchesterGrange.org.